I am a very responsible and caring individual who loves to help kids as best as I can. 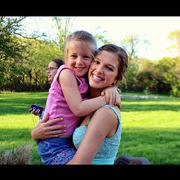 I started babysitting with my sister when I was in sixth grade and began to do scattered babysitting jobs on some week nights and weekends from 8th grade to 10th grade. Once I got my license, I got an after school babysitting job every Monday, Tuesday, Thursday, and Friday. I took a babysitting training course and am certified by the red cross. I have experience with both boys and girls of all ages.